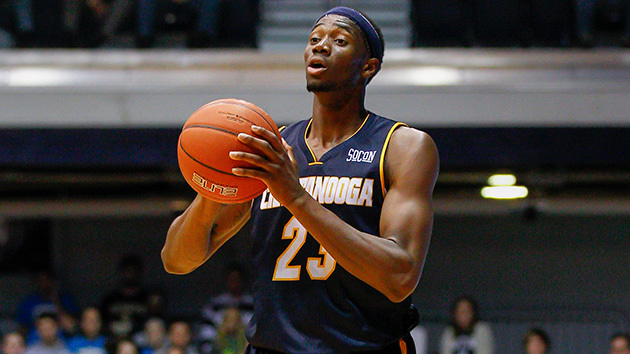 Everything you need to know about the Chattanooga Mocs as they begin the NCAA tournament. The Case For: Chattanooga is not just a one trick-pony that lucked into the tournament by winning its conference. They had a decent shot at an at-large bid if they lost the Southern Conference championship. They had good non-conference wins against Georgia, Dayton and an Illinois team that knocked off Iowa in the Big 10 tournament. And then they dominated their conference, all while losing their best player in Casey Jones. The offense has had to compensate for the loss of the preseason player of the year by becoming varied. They have two guys who are lights out from deep—senior guard Eric Robertson (40.4) and junior forward Chuck Ester (41.2). Tre’ McLean is their biggest offensive threat and best offensive player. He was named All-Conference. They combine that with a strong defense. They rank 26th in block percentage and 31st in steal percentage, all while giving up only 66 points a game. It helps to be anchored by conference defensive player of the year Justin Tuoyo. This is the second defensive player of the year award for the 6’10” VCU transfer. He leads the team in blocks per game (2.34) and is ranked 28th in the nation. The Mocs have the size to match up with major programs and the depth to run with them, sporting a rotation of nine deep. The win against Dayton should give fans hope that their team can replicate it in the tournament. The Case Against: Outside of Dayton, you can easily argue that the Mocs didn’t really beat anybody of significance. And when they played against a team in the upper echelon, they got trounced—see their 20-point loss against Iowa State. They are a middle-of-the-pack offensive team, and they don’t get enough offensive boards (10.9) to sustain attacks. While many might pick Chattanooga as a Cinderella team, they don’t quite fit the mold. Cinderella teams from out of the way conference typically have major offensive talent (think Cleanthony Early with Wichita State, or Gordon Hayward with Butler, or Steph Curry with Davidson). This is where they could’ve used Jones. The senior guard only played eight games this season before falling to an ankle injury, but was the type of player who could take over a game. And McLean, while impressive in Jones’ stead, only averaged 7.9 points before the injury, signifying he’s not an elite scorer. With 12.4 turnovers a game, the Mocs simply aren’t good enough offensively to overcome the ball consistently going the other way. While the Southern Conference has had success in the tournament (see the ’14 Mercer squad), Chattanooga’s middling offensive might not be enough. SI Prediction: Lose to Indiana in the first round.